Dr. Dierker is the Director of Optometric Services at Eye Surgeons of Indiana. He is a graduate of the Indiana University School of Optometry and has completed fellowship training in consultative optometry. He specializes in the diagnosis and management of eye diseases. In 2007, Dr. Dierker was awarded Fellowship in the American Academy of Optometry. This prestigious honor is given to only a small number of optometrists throughout the country. 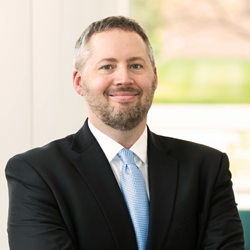 As an adjunct faculty member at the Indiana University School of Optometry, he directs the clinical externship program at Eye Surgeons of Indiana. He currently serves his profession as a member of the executive board of the Indiana Optometric Association. Additionally, he frequently presents continuing education lectures to other doctors throughout the country and works closely with leaders in industry on various endeavors that are focused on improving patient care. Dr. Dierker offers consultations at the Indianapolis, Greenfield, and Greenwood offices. Dr. Damon Dierker - What can i do differently to treat my dry eyes?